I rarely go out on Saturdays. Instead I usually work, or sleep in, or languish around the house trying to recover from Friday night. All too often it slips by completely in the run up for prepping for Saturday night. I decided to make this Saturday an event. I had a modest Friday night, got to bed early, then rose with the sun (okay, the alarm) for a morning at the spa, followed by drinks at The Dorchester and lunch just around the corner at Marcus Wareing at The Berkeley. It can feel weird dressing up and making an effort so early in the weekend. But there is no place like London for a spot of Satur day-drinking. The piano room at The Dorchester has buttery soft leather chairs to sink in to and a fireplace, perfect for these cold February days. The Bloody Mary’s are made with yellow tomato juice and served tall in cut crystal glasses over golf ball-sized ice cubes. One zingy sip is the perfect ode to midday. 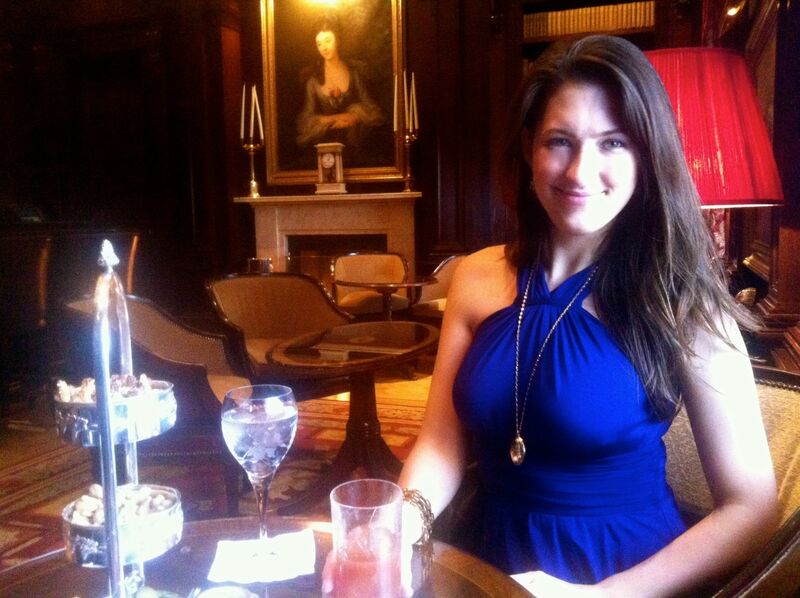 There’s nothing I love more than a long, late afternoon lunch. 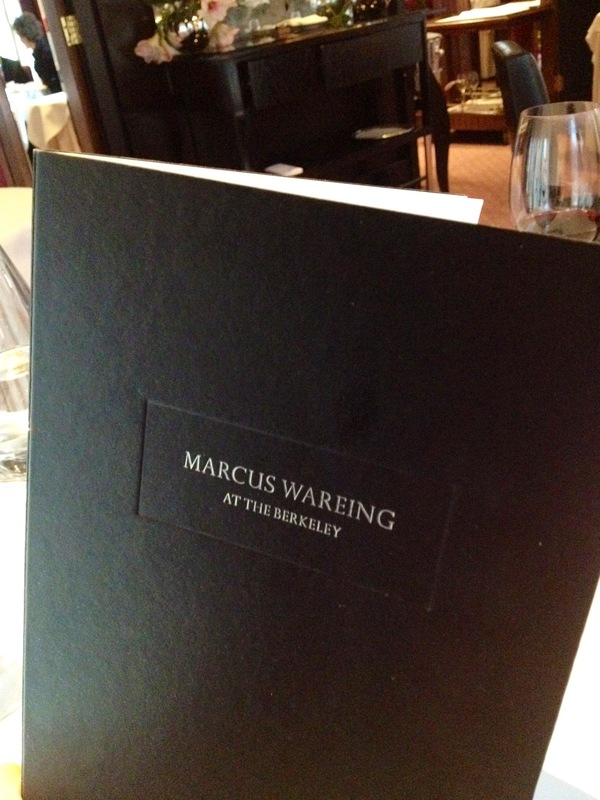 Marcus Wareing at The Berkeley offers a special 5-course set lunch on Saturdays, which includes cheese. With a carefully chosen bottle of wine or two (the wine list reminds me of the binder of CDs I used to keep under the seat in my car), you just sit back and chat lazily while you await each dish to glide across the room your way. 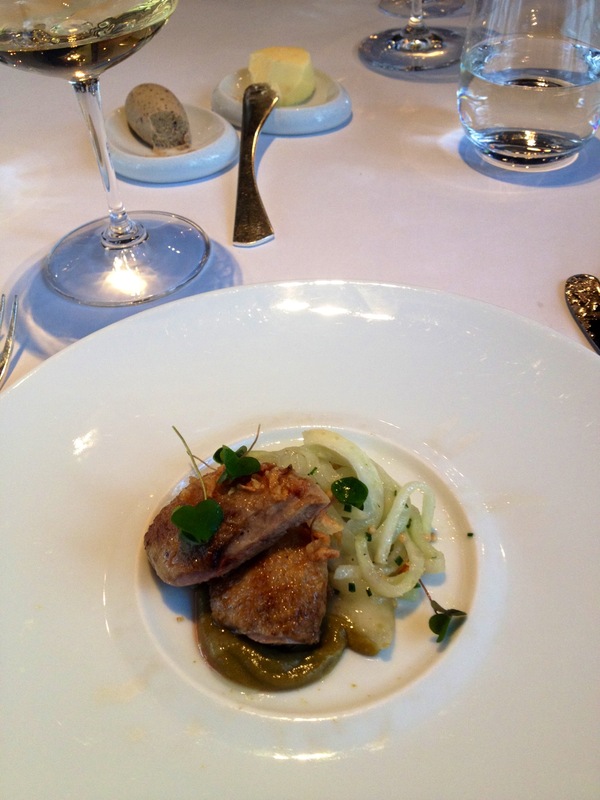 The quail with kohl rabi and caper raisin puree was my favourite! Save room for the water-based chocolate truffles at the end. They even give you a little bag of homemade brittle to take home. This entry was posted in Food and tagged 2 Michelin stars, Bar, Bloody Mary, food blog, Knightsbridge, London, Marcus Wareing, Mayfair, Restaurant, The Berkeley, The Dorchester on February 12, 2013 by godsavethescene. Good a1V I should celaitnry pronounce, impressed with your website. I had no trouble navigating through all tabs as well as related info ended up being truly simple to do to access. I recently found what I hoped for before you know it at all. Quite unusual. Is likely to appreciate it for those who add forums or something, site theme . a tones way for your customer to communicate. Excellent task..